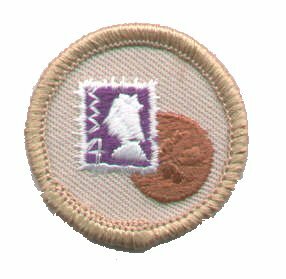 Welcome to our online support to Canadian Scouts who would like to earn a Challenge Badge for stamp collecting! Scouts Canada offers the Collector badge that could be awarded to Scout stamp collectors. Purpose: Show an interest in putting a collection together. 1. Own and improve a collection that you have worked on for the last six months. This must have been done as a Scout. 2. Display your collection in a suitable manner. 3. Present your collection, your interest in it, some of its history, as well as why and how you have chosen to display it as you have.